One of the good things about mountain biking is the ability to enjoy the bike trails that are just but the perfect scenery for exploration especially when using a good bike such as the Santa Cruz mountain bike. The good news is that there are some top-level Mountain Bike Destinations in the USA. Let us look at some of the favorite mountain biking destinations in the United States. Even though this is one of the oldest destinations for mountain biking, it hasn’t relaxed when it comes to updating their trails. In the recent past, they have continued to build singletracks that are bike-legal. In fact, they usually add around 30 miles every year. To make matters even better, these new trails are usually far much better as compared to the original ones. Some of the memorable features that should make you go mountain biking here with the Scott Mountain bikes are the iconic slickrock riding, a stunning view of the desert and the many miles of trails. This is another expansive region that is inclusive of the South Lake Tahoe towns, Tahoe City and Incline Village. All this region is popular for mountain biking. Even though Tahoe has been a popular destination for mountain biking, there are other trails that are being built around South Lake Tahoe and these have pushed the region into a world-class destination for mountain bike riding. There are even some bike shops and restaurants in Tahoe that never ends. This is among the 2 birthplaces associated with mountain biking as a sport. This mountain biking trail has miles of picturesque trails covered with alpine and surrounding the quaint town at the western mountain. Crested Buttle say they have trails of over 750 miles. This is a destination for mountain bike trails that has already achieved a gold-level status, thanks to a huge network of trails that can be accessed from the downtown. Many of the trails are usually classic trail riding but you can get a ticket that will offer you a lift bump in different places. If you are after a true downhill ride, you can opt for the Deer Valley Canyon and Canyons. Besides that epic network that has been there for a period of time, there has been a continuous expansion of the network around the town and it now has private resorts such as the Deer Valley that has worked diligently in building more of the singletrack. This is a region that includes Wyoming, Idaho and the Grand Targhee Resort and has been a hotbed for mountain biking, especially for the people who understand skiing on the downhill. The region consists of steep and massive mountains with deep snow. Historically, the region’s summer mountain revolves around the proximity of Jackson to Yellowstone & Grand Teton national park. Some trails that were previously illegal have now been made part of the trail system. This is on top of the new trails that have been built. Of worth noting is the Grand Targhee Resort that consist of a wide range of trails for mountain biking and cross country. This is definitely a suitable destination to go mountain biking with your Santa Cruz Mountain Bikes. While this destination may not have the same quantity of biking trails like the above mentioned destinations, what sets the destination apart is the quality of trails, technical difficulty and accessibility. This is on top of the stunningly beautiful views. The destination has been popular for its singletrack that has been interlaced around the town. The towering red rocks are enough to make you carry your camera. This region comprises of the Loma, Fruita, Palisade and Grand Junction towns. For a long time, this region has been ranked as the best destination for mountain biking and this has not stopped them from building trails and other infrastructures such as restaurants. Powderhorn is among the ski resorts that are close to Grand Valley. Even though it doesn’t have the terrain or natural snow quality that are available in the other resorts, they now have downhill trails for mountain biking. 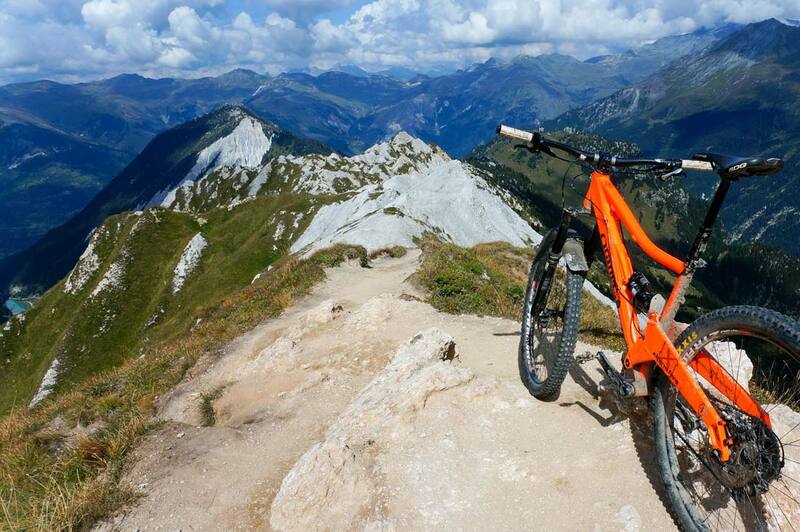 The goal of these trails to capitalize on the bike tourism whose demand is ever increasing. Some riders are unable to withstand the moon dust condition at Bend. However, in the recent past, the mountain biking destination has continued to enjoy new singletracks that are being added everyday to the hundreds of miles. The many bike shops and Cog wild’s expert guidance has all added to the success of Bend. The opening of Mount bachelor downhill mountain bike part has added to the success of Bend, as it now boasts of many different trails. With these mountain bike destinations in the United States, your biking experience will never be the same again.